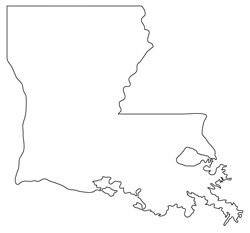 The estimated population of Louisiana is over 4,293,200 with a workforce of approximately 1,997,900. Louisiana is the 25th largest state in terms of population, and there is a high demand for Louisiana computer forensics professionals. The field of computer forensics is constantly evolving and is still considered to be in its infancy. Therefore, campus-based programs are hard to find across the country. For residents of Louisiana, however, there are campus options for this field. Also, you may want to seriously consider attending an online computer forensics school. You can earn a respected, accredited degree from the comfort of your own home in Louisiana. When it comes to standard operating procedure in computer forensics, every state has its own laws and procedures. Currently, Louisiana is operating with regards to the Federal Rules of Civil Procedure Amendments. The Louisiana legislature adopted limited revisions incorporating e-discovery provisions comparable to the Federal Rules of Civil Procedure amendments*. Louisiana is among the majority of the states which require any individual practicing data recovery with the intent of using found information in a court of law be a licensed Private Investigator in that state. This is referred to as electronic discover or e discovery. While this is not an issue for the Law Enforcement Agencies working across the country it could prove to be an obstacle for those working in the private sector as computer forensic “specialists”. In Louisiana, individuals in the computer forensics field make far greater money than the average pay across all professions in the state. According to the United States Department of Labor, Louisiana has an average state salary of $32,900 across all professions*. Computer forensics professions make over double that figure at $77,000 a year**. Of course, as with any profession, the pay for computer forensics varies by the specific city you practice in. For instance, in Shreveport a computer forensic examiner can make upwards of $73,000, in New Orleans up to $77,000, and in Baton Rouge as much as $86,000**.